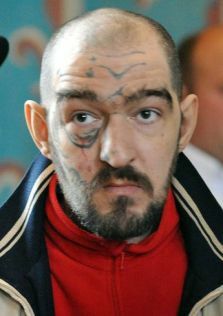 Nicolas Cocaign had a reason for violently attacking and killing his cellmate Theirry Baudry. It wasn’t over money, or property, or drugs, or any of the other things prisoners are typically killed over. Cocaign beat, stabbed, stomped, and smothered his cellmate to death because, as Cocaign said, “I wanted to take his soul.” To do this, of course, you have to eat your victim’s heart. Cocaign didn’t pay attention in anatomy class and ate his roommate’s lung instead. That’s right, the 39-year-old Cocaign went to all that trouble and didn’t even stir-fry the right body part with onions on that makeshift cooker in a prison near Rouen, France. Cannibals everywhere are ashamed of you, sir, for not knowing your cuts of organ meat properly. How could someone ever confuse a heart for a lung? !